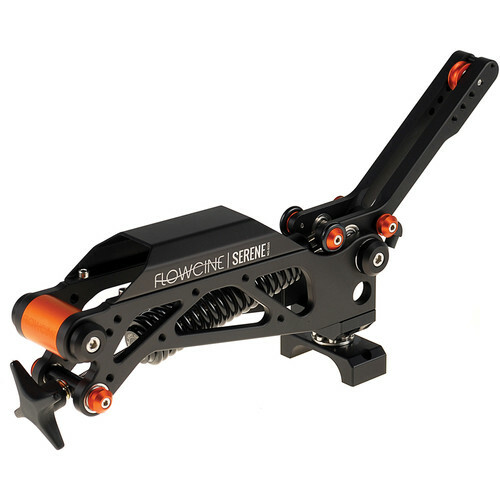 The FLOWCINE Serene is a two-axis spring arm stabilizer that attaches at the end of the Easyrig (2.5/3) arm. It smooths video results by mitigating vertical vibrations induced by walking or running during a tracking shot. 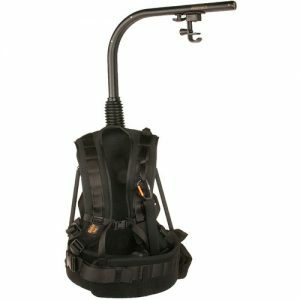 It also stabilizes side to side motion in similar tracking situations by counter-pivoting around its center axis.